I am a creative entrepreneur. This lifestyle isn't always easy. I often talk myself out of projects or opportunities with my many logical excuses. Going through such mental battles can be exhausting especially because I have an innate desire to be an entrepreneur. I knew that I had to try something different and as the thought came to me, I came across Van Moody's The I Factor. The I Factor focuses on building a positive relationship with yourself in order to be successful in whatever it is you are called to do. The book does have a biblical perspective and relates key aspects to stories in the Bible. The entire book delves into the why behind one's negative perspectives of self. A negative perspective doesn't have to be extreme, and it could simply be the statement, "I am not good enough." In the first chapters, Van Moody focuses on helping the reader understand the meaning of "I Factor". From my understanding, the I Factor is your perspective of yourself. It is how you see yourself. It is where you find your identity. 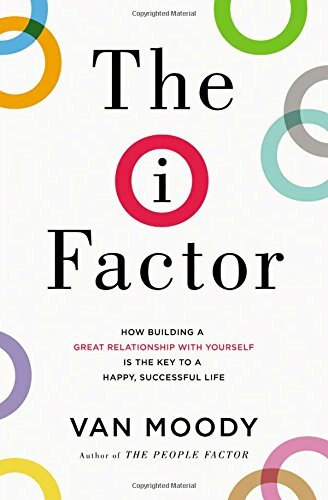 The I Factor is one of the few self-help books that I have committed to reading. This says a lot because I don't typically read self-help books. I like that Van Moody took the time to relate the key components not only to biblical stories and events, but he also related many components to people and events in our current culture. This made the book relatable and easy to understand. One thing that I like about The I Factor is the way each chapter ends. There are internal building blocks and questions to help you strengthen your I-Factor. The internal building blocks are key points that you can carry with you after you close the book. For instance in the chapter about significance, one building block is "You can't control how other people treat you relate to you, and you are not responsible for them. You are only responsible to develop a healthy, growing relationship with God." This is a great reminder for me because I would often think too much about other people's responses. It really isn't my responsibility to worry about how someone would respond or what the person thought especially if my actions weren't harmful. Overall, I would recommend The I Factor to anyone who wants to shift their perspective from being self-destructive or damaging since this book focuses heavily on one's relationship with self, being content, and accepting your identity in the Messiah.